Between the Blue Ridge Mountains, North Carolina and the Atlantic Ocean lies a modern city founded in 1766. Today, this town of less than 400,000 people has eight institutions of higher learning, 80 parks, numerous galleries and museums, 40 wineries, 450 restaurants, 12 golf courses and Salem College, the oldest college for women in the country. 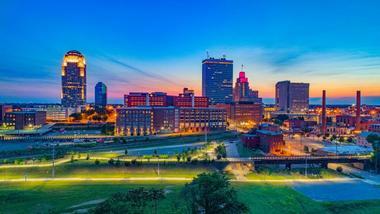 Best things to do in Winston-Salem, NC with kids include SciWorks, the Children's Museum of Winston-Salem, and the Southeastern Center for Contemporary Art. A group of volunteers founded Old Salem, Inc. in 1950 as a way to preserve Salem's historic charm for future residents and visitors. Employees and volunteers have since dedicated hours to restoring the buildings and garden areas within the historic district. Visitors have a wide selection of places to eat, shop, and tour while inside the Old Salem Museums & Gardens. Entrance ticket prices start at $15 and vary depending on the buildings and tours you plan to visit. 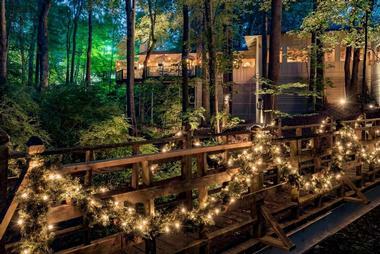 The Old Salem Museums & Gardens are also a popular venue for weddings, corporate events, and other large gatherings. 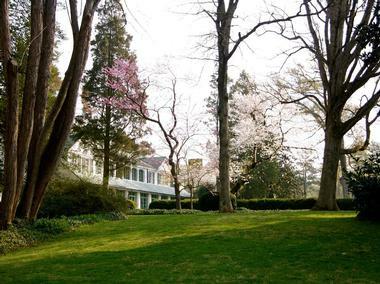 Reynolda House, Inc., established in 1964, oversees the Reynolda House Museum's extensive collection of American art. Hundreds of artifacts are displayed in the museum, and Reynolda House also displays unique exhibits throughout the year. The Children's Museum of Winston-Salem is filled with a variety of fun, educational activities, and its displays are aimed at developing literacy, motor skills, and social skills in children. Activities like painting, reading, drawing, and building are integrated into many of the museum's attractions, and kids will also find plenty of room to run, climb, and play. 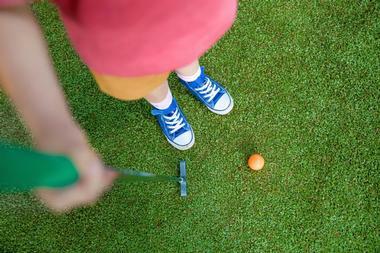 If you are wondering what to do in Winston-Salem on a rainy day with kids, this is a great idea. A special membership offered by the museum includes benefits like free admission, invitations to members-only events, and discounts at certain retailers. The museum also has space for hosting parties and special events. SciWorks, a nature and science facility, exists to support literacy, science, and life-long learning. SciWorks is one of the top Winston-Salem attractions for families and has an abundance of exhibits that teach visitors about subjects like biology, sound, physics, health, and the environment. The facility also has its own planetarium where visitors can learn about stars, planets, and space. Nearby gardens and walking trails offer plenty of room for exploring and picnicking. Admission is $9 for kids and seniors, $11 for adults, and it is free for people who hold SciWorks memberships. Entrance to the planetarium is generally free. Visiting Bethabara Park is like stepping back in time. The park was once a small religious village for Moravians who settled in the area more than 250 years ago. It's a popular spot for birdwatchers since the park sits on a wildlife preserve that is home to more than 120 species of birds. The park's grounds, gardens, and trails are open year-round at no cost. The visitor's center and exhibit buildings are only open on certain days from early April to mid December, and tours for these areas cost $4 for adults and $1 for kids. Based on Medieval European designs, the town of Bethania is the only remaining example of an open field agricultural village in North Carolina. It is also the sole active Moravian village in the United States, and the buildings and grounds of this ancient town are exceptionally well preserved. Visitors can wander around Bethania's quaint homes, buy souvenirs in the local book and gift shop, and learn about Bethania in the historic visitor's center. The Alpha Chapel, a tiny Moravian church, is also the site of frequent weddings and parties. Four short hiking trails provide stellar views of Bethania's forests and farmlands. Bethania is about 20 minutes from Winston-Salem. If you are looking for unique places to visit in NC, plan a day trip to Bethania. This center contains the Museum of Early Southern Decorative Arts, known locally as MESDA, a relatively new addition to Winston-Salem's historic area. 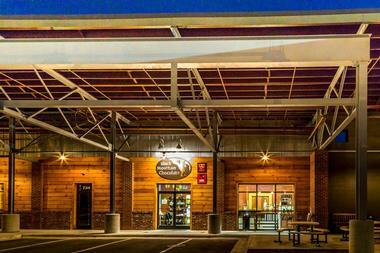 Once a grocery store, the building underwent renovations in the mid 1990s to serve its new main purpose as a museum. 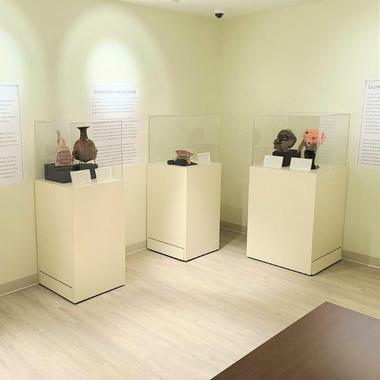 The museum itself is named after Frank Horton, a prolific decorative arts researcher. MESDA has a series of exhibits and collections and also includes auditorium space for meetings and special events. Along with MESDA, the center contains a research area and several shops. If you are wondering what to see in Winston-Salem on a rainy day, visit this unique attraction. The West End Historic District is known for its rich history and well-preserved buildings. More than 500 structures dating back to 1897 through 1930 still stand in this portion of the town, and a few notable buildings in the district include the H.D. Poindexter houses and the Zevely House. Architecture styles represented in the West End Historic District include Classic Revival, Queen Anne, Colonial Revival, and American Craftsman. The district covers about 230 acres of land. This non-profit theater seeks to showcase the talents of up-and-coming performance artists in the Winston-Salem area. Through Peppercorn's productions, theater organizers hope to urge local children to use their creativity, embrace their natural sense of adventure, and develop leadership skills. Although the Peppercorn Theatre began in 2010, it partnered with the Children's Museum of Winston-Salem in late 2014 to gain access to a broader portion of the city's youth. Peppercorn produces unique shows for families throughout the entire year. Triad ECO Adventures is best-known for its Segway tours. 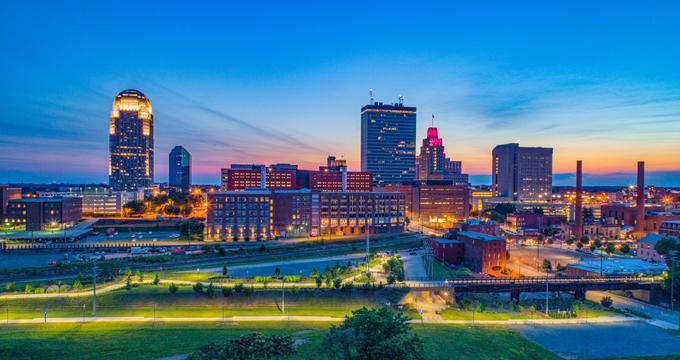 Prior to exploring the city of Winston-Salem for 2 hours on a Segway, the staff will provide you with comprehensive safety training, which includes a special obstacle course. 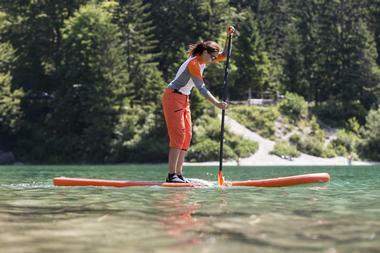 If Segways aren't your cup of tea, you can try one of Triad ECO's stand-up paddleboard (SUP) tours instead as SUP lessons are also available through Triad ECO. Additionally, the company sells Segways along with Segway parts and accessories. Other environmentally friendly recreational products are sold through Triad ECO, including eBikes and eSkateboards. Built in 1958, BB&T Field at Wake Forest University can accommodate more than 30,000 people. BB& T Field is the site of numerous games between Wake Forest's Deacon Demons football team and its visiting competitors. Over the years, BB&T field has received several upgrades, including a seven-story press box called Deacon Tower and a 90-foot-wide video board that sits near the south end zone of the field. Additional renovations take place on a routine basis to increase the stadium's capacity and upgrade its facilities. The Southeastern Center for Contemporary Art, also known as SECCA, is home to numerous pieces of contemporary artwork. 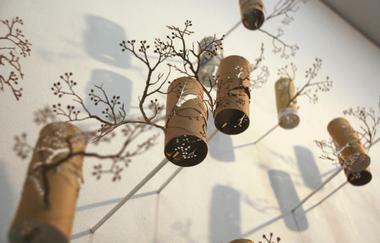 SECCA displays locally-done work as well as pieces from national and international artists. SECCA also has programs for youngsters such as the free weekly Art in the Overlook Gallery gathering. Film @ SECCA, a venue for viewing short films and videos, is free to the public. From time to time, SECCA also hosts showings of productions by the Metropolitan Opera. A gift shop contained in the museum sells contemporary prints and posters as well as books. Located minutes from downtown Winston-Salem in a beautiful forested area surrounded by large live oaks on the bank of a rolling brook, Ryan’s has been a favorite of the foodies of Winston-Salem since 1977. Relax on a plush sofa by the fireplace with a cocktail while waiting for your table and enjoy the elegant dining room or spacious outdoor deck. Ryan’s young chef Jon Willis continues with the traditional menu that made Ryan’s such a favorite, pushing the traditional envelope with little surprises on the daily specials menu. If you are looking for date night ideas in Winston-Salem, Ryan’s steaks, lobster, and all other seafood are spectacular, and they have an award-winning wine list to match the food. More weekend and day trips: Best Family Vacation Ideas in North Carolina and Romantic Weekend Getaways in North Carolina. 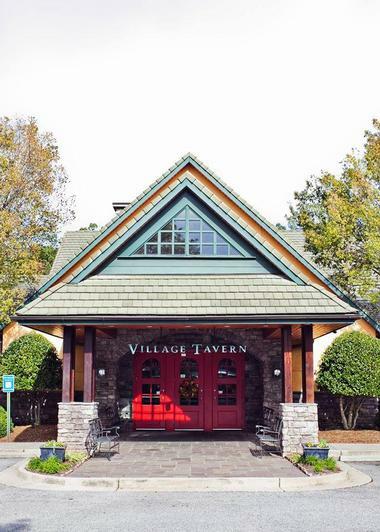 Village Tavern is the place where you go with the whole family without having to worry if someone will want something else. Cozy and pleasant with large high-backed booths, this large restaurant has an absolutely enormous menu. You better decide what you want to eat before you come in, or you will spend the entire evening going through all the options. There is really something for everyone, from steaks and burgers to pizzas and tacos. The appetizer menu is also large and has so many delightful small plates that you might be tempted to stay with them, especially if you came with a bunch of friends mostly for drinks. Their drinks menu and wine selection are equally extensive. There are many wines by the glass, some of them quite good and perhaps a bit expensive, so you might want to come on Wednesday when all wines by the glass are half-price. The Black Mountain Chocolate Factory is located in downtown Winston-Salem. Visitors can take a self-guided tour or schedule a time to see how the factory works behind the scenes with a guide. The $10 hour-long guided tour covers the process of making chocolate from start to finish. If you are craving sweets once your tour has ended, you can purchase gelato, pastries, chocolate, and an assortment of hot or cold beverages at the factory store. With more than 20 local breweries, there is a nice little competition going on in Winston-Salem to the delight of all beer lovers. 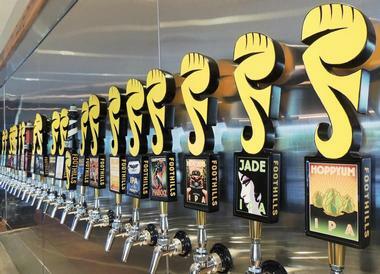 One of the most popular is Foothills Brewing, which has been fermenting, brewing, and bottling since 2005. With two production facilities, the main one being a 48,000 square foot converted envelope factory, they produce today almost 32,500 barrels and distribute their beers all over North Carolina and several other states. They have a lovely pub in downtown Winston Salem with great food and frequent live music. If you want to learn more about the process of making beer, visit their main facility and tasting room where they offer Beer School and a brewery tour and let you sample all the beers they currently offer. Meridian is an elegant, upscale restaurant away from the downtown crowd, spacious and bright, with light Italian touches in the décor. The Northern Mediterranean theme continues with the food, which utilizes vibrant Mediterranean flavors and seasonings. Executive Chef Mark Grohman offers intriguing surprises such as South Texas Antelope, dry-rubbed and grilled and served with goat cheese polenta, braised escarole, roasted parsnips, and Bordelaise butter. The menu changes daily and uses seasonal, local, and organic ingredients. They make their own breads, pasta, sausages, and mozzarella. Their extensive tapas menu is perfect if you come just for cocktails and want a bite to eat. The wine list is extensive and excellent. Fans of NASCAR will feel at home in the Winston Cup Museum & Special Event Center. Will Spencer, who has been involved in NASCAR racing and motorsports for almost 40 years, founded the museum in 2005. 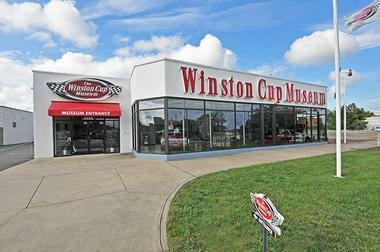 The Winston Cup museum contains an extensive collection of racecars and racing artifacts from the Winston Cup Series era of NASCAR racing. Once you've finished viewing the exhibits, you can get behind the wheel of one of the museum's racing simulators to experience life in the fast lane. Mediterranean food is often considered the healthiest in the world. It is bursting with flavors from fresh veggies, the meat is used in small quantities for flavoring, and Mediterranean cooks are generous with virgin olive oil. Mooney’s Café offers Lebanese dishes using tried and tested family recipes, local organic ingredients, and only what is available in season. They make their own sauces and marinades, import tahini (sesame paste) from Lebanon, use more than four gallons of freshly squeezed lemon juice weekly, and are the biggest users of eggplant in Winston Salem. 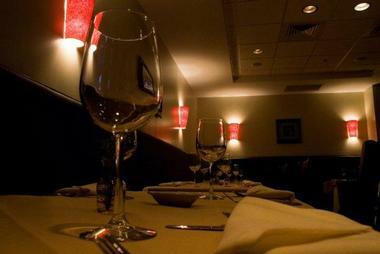 The menu is extensive but dishes are typical Lebanese and Mediterranean and very well prepared. If you are not familiar with Lebanese cuisine, take a sampler of appetizers, which should definitively include humus, babaganouj, and cuscus. Stuffed pitas are fabulous and a whole meal in themselves. The Tavern in Old Salem is a tourist attraction, a completely restored 1816 house built as an annex to the historic 1784 Tavern. The waiters wear traditional Moravian costumes, the plates and drinking cups are made of metal, and chairs are mismatched and hand-made. Everything is designed to bring you back to the early days of Salem when the Tavern was not only a place to eat and drink but also to socialize and exchange news. The food is also reminiscent of a former time and simply delicious. Try their wild boar, bratwurst, German potato salad, pot roast, and other old-fashioned comfort food that never went out of fashion. They also have good local craft beer and a nice wine list. 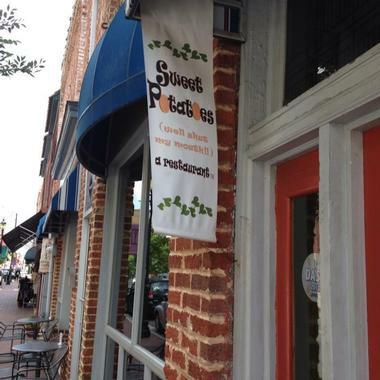 Coming for Sunday brunch at Sweet Potatoes is a local tradition. Fairly small but cozy and intimate, this restaurant has the atmosphere of your favorite aunt’s dining room. And the aroma! Chef and co-owner Stephanie Tyson cooks and serves southern -inspired down-to-earth home cooking, and that means starting with a basket of fried green tomatoes and okra. The menu is extensive, but don’t miss treats such as Drunken Pork Chops, Barbecued Duck, or Smothered Yard Bird. Delicious sweet potato buns come with everything, and it is not easy to resist the temptation to stuff a few into your bag for tomorrow. The restaurant is located in downtown Winston Salem, so it is very popular and crowded with the business lunch crowds. Evenings bring families. Sweet Potatoes has a small but select wine list with vintages from all over the world. The New Winston Museum was established in the early 2000s by a group of volunteers who wanted to preserve the unique history of the Winston-Salem area. The museum details the founding of Forsyth County and the way in which the area's history has impacted the lives of modern-day residents. Instead of having a large collection of artifacts, founders of the New Winston Museum are currently focused on curating photographs, documents, and letters that shed light on Winston-Salem's people and places. However, the museum does have several short-term exhibits. Admission to the New Winston Museum is free. More places to visit: Best Things to Do in Charlotte. 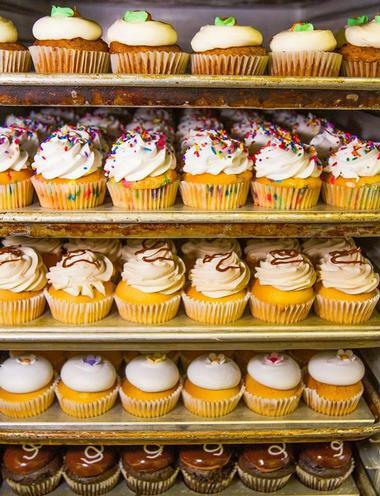 Dewey's Bakery is a charming Winston-Salem bakery that has been in operation since 1930 and has recently been acclaimed by O: The Oprah Magazine for its world-renowned Moravian cookies. The bakery, which is currently owned and operated by Scott and Michelle Livengood, is a certified-B Corporation and is committed to community activism, donating more than $1.7 million to regional nonprofit organizations since 2012. Traditional Czech Republic-style delicacies such as Moravian lovefeast buns and grandma-and-grandpa coffee cakes are served alongside classic baked goods such as eclairs, turnovers, and Southern-style cheese straws. Custom cakes are also available, including wedding cakes and party-style cake squares served in flavors such as carrot cake, strawberry, and pink lemonade.